Homeowners in West Bend, WI face a familiar challenge every year: staying warm. Of course, staying warm isn’t your only objective. For centuries – even millenniums – men, women, and families have gathered around the fireplace. Simply put, there is no better place to create memories. A warm, crackling fire right in the architectural focal point of your home can be romantic, relaxing, and sometimes meditative. 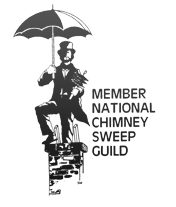 Another constant goal is to escape breaking the bank on West Bend chimney sweep prices. Thing is, it’s a must have service, which is why our sweeps make it so affordable. In today’s times, the collision of hot air and cold air require scientifically-designed (yes, you read that correctly) chimney flues. We will perform chimney relining services to get rid of old rusty chimney tops no longer controlling air leakage within your West Bend house, also helping you save on sneaky-high HVAC bills. Other problems we often encounter regarding fireplace maintenance includes damaged mason-work. Over time, condensation rots chimneys caps and causes brick to lose its luster. Why would anyone be a fan of degraded masonry on a formerly beautiful chimney? This kills the value of your home, while prohibiting its full potential. If you aren’t sure whether or not your fireplace even works, inspections and cleanings are an inexpensive way to finally unleash your curiosity and embrace first-time chimney use. Why wait until you have to sell your home to know if the chimney works, then being forced to pay small cleaning fees anyway once it’s too late to enjoy the fireplace for yourself? 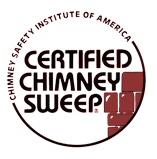 At Wisconsin Chimney, our hometown Wisconsin prices mean we will work for you professionally and assiduously, no matter the location or time of year. 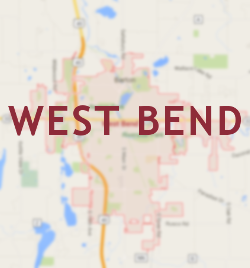 Contact our West Bend Chimney Sweeps for immediate service.